Italy is one of the most popular countries to visit in Europe. It's not hard to see why many visitors flock to this area. It has a unique history, beautiful architecture, fascinating cities, delicious food, and of course wine. Visitors to Italy come on cruises, as part of school groups, through study abroad programs, and as part of tours. Tours of Italy often focus on the northern part of the country and visit popular places such as Rome, Florence, and Venice. 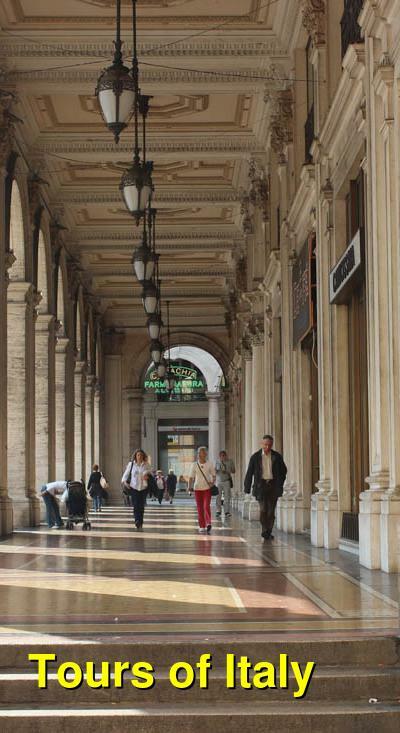 Rome offers the largest airport and most tours of the country begin and end in Rome. If you want to get a bit off the beaten path, then you can take a tour of Southern Italy. These tours may be a bit more affordable and they visit less popular destinations that still have a lot to offer. Because of Italy's popularity as a tourist destination, it is usually included in most multi-country tours of Western Europe. It's not uncommon to find a stop off in Rome and Florence in many tours, but if you want to experience the country in depth, a country specific tour is recommended. This amazing overview of Italy is just what you need to see all of the great sights and make new friends along the way. This 12-day trip will take you through the highlights of Italy, including Rome, Venice, Florence, and more. This whirlwind overview tour of Italy doesn't leave out anything! You'll have a blast in Venice, Rome, Florence, Milan... and don't forget about the coastal areas around Portofino either! This truly is the Best of Italy. The Amalfi coast is one of the most popular destinations in Italy, and rightly so. Its stunning beauty and local culture guarantee that you'll be in awe around every corner. This tour will show you the highights of Rome before whisking you south to the history of Pompeii and the area around Naples before showing you the glamour and beauty of Amalfi and Sorrento. Let's do it! Geckos Adventures caters to travelers ages 18 to 29, and this amazing and affordable blast through Italy is just what you're looking for if you fall into that age range. Not only will you see the amazing sights of Italy, but you'll make some terrific friends along the way. Contiki is a large and well known tour operator that offers organized tours to young adults. G Adventures offers a wide variety of tours to Italy that range in length from under a week to almost a month.